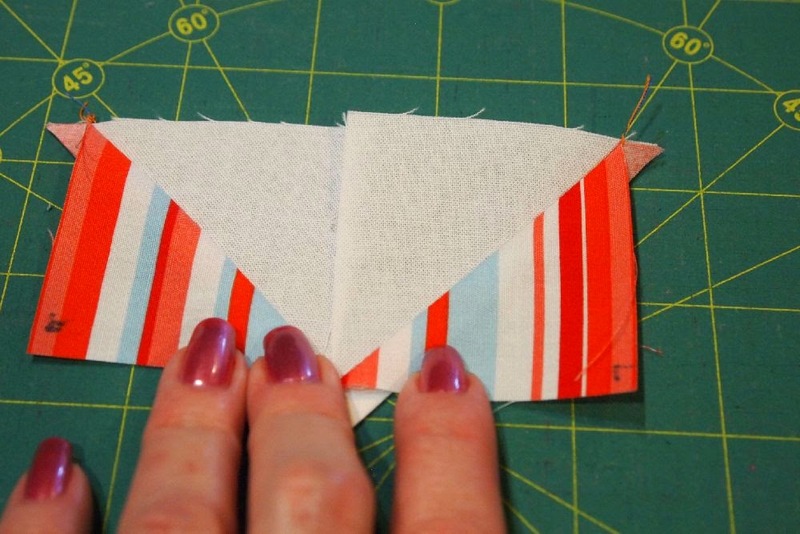 It can be so frustrating using striped fabrics to make half square triangles (HSTs) or flying geese. 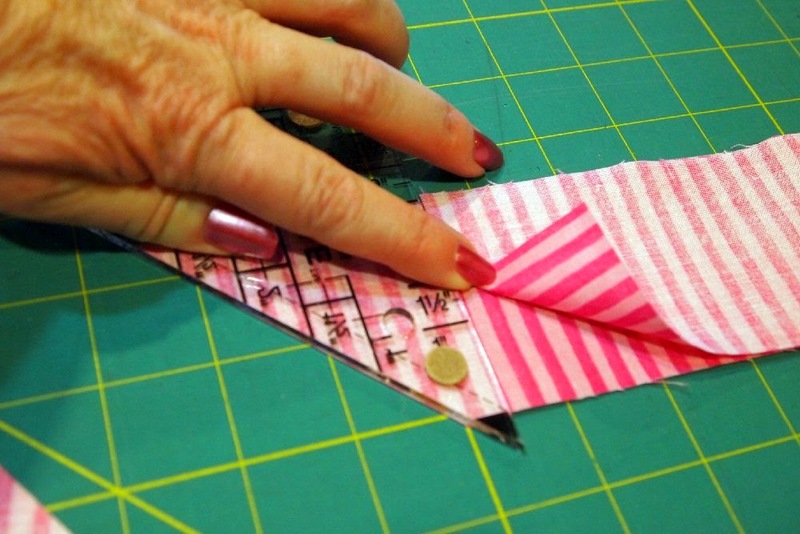 Cathy showed us a neat trick to ensure the strips are going the same direction on both sides of your HST or flying geese. Basically, the trick is to cut one HST top-left to bottom-right and the other the reverse. 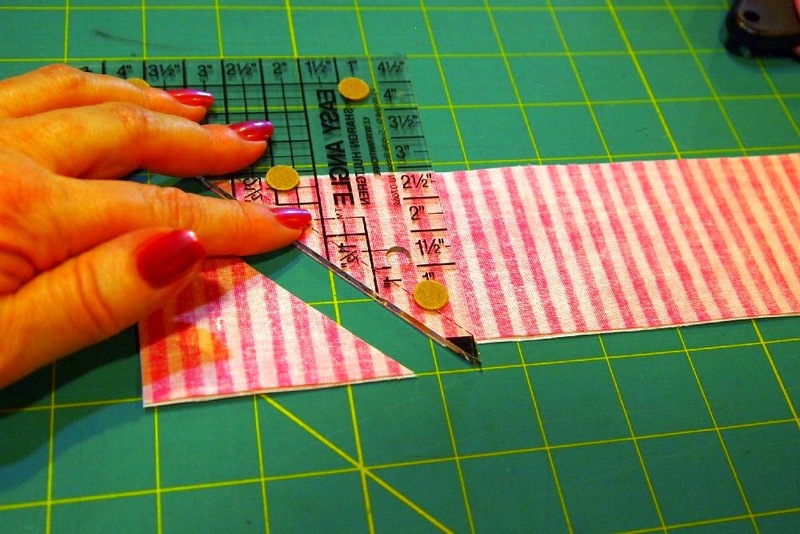 Here I am using the "draw a diagonal line, sew 1/4" in each side and cut" method of making HSTs. If you are making an Ohio Star or similar block, where you want the stripes to go the same direction all the way around the block,the HST method won't work. Unless you want to make twice as many HSTs as you need, and waste half of them. 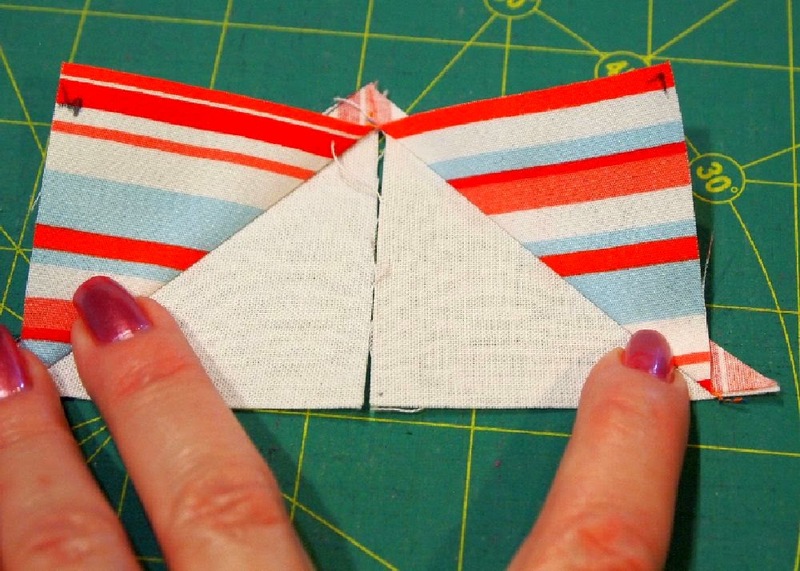 It's possible to make all the HSTs with the stripes going the same way by using the EZ Angle tool. 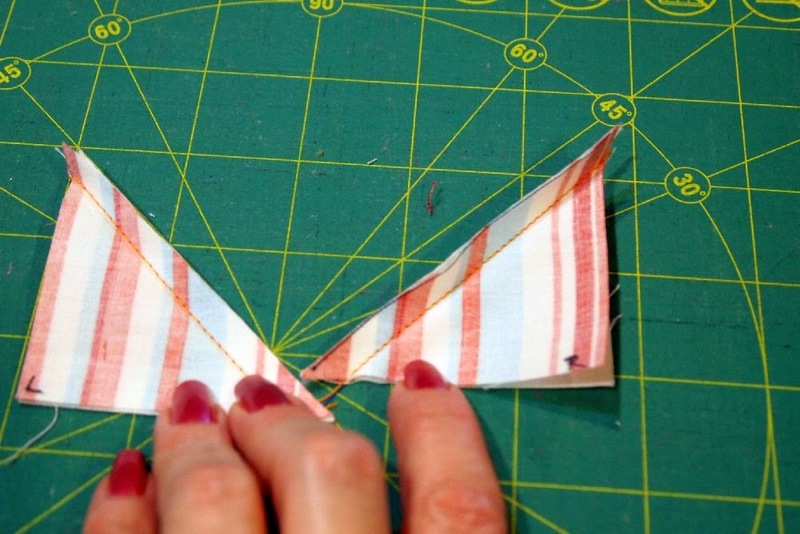 Cut a strip of striped and a strip of background fabric the size you want the HST raw-edge to raw-edge. In this case, I'm using 2.5" strips. layered right sides together. Normally, you would cut one HST, then flip the tool and cut the next one. But look what happens! You get two identical HSTs. When arranged for flying geese (or star points), the stripes are perpendicular. 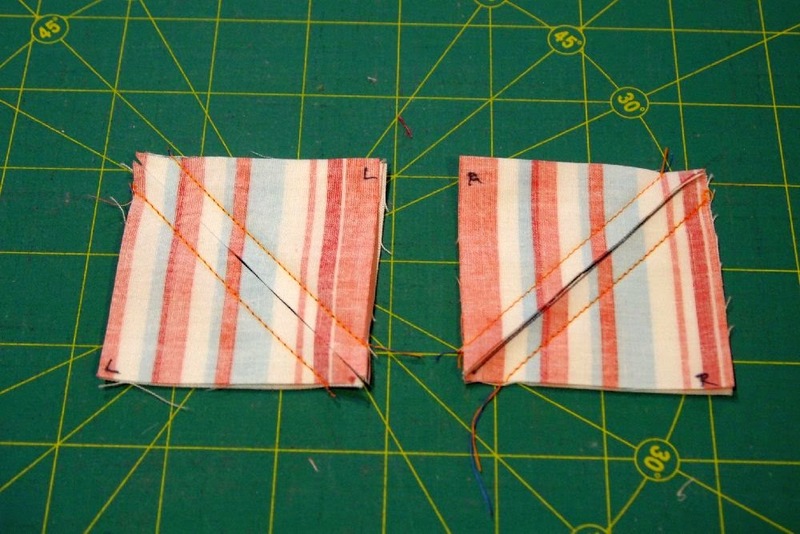 In order to make flying geese or HTSs with the stripes parallel, cut the striped fabric and the background separately. Remember, we want miror image striped triangles. 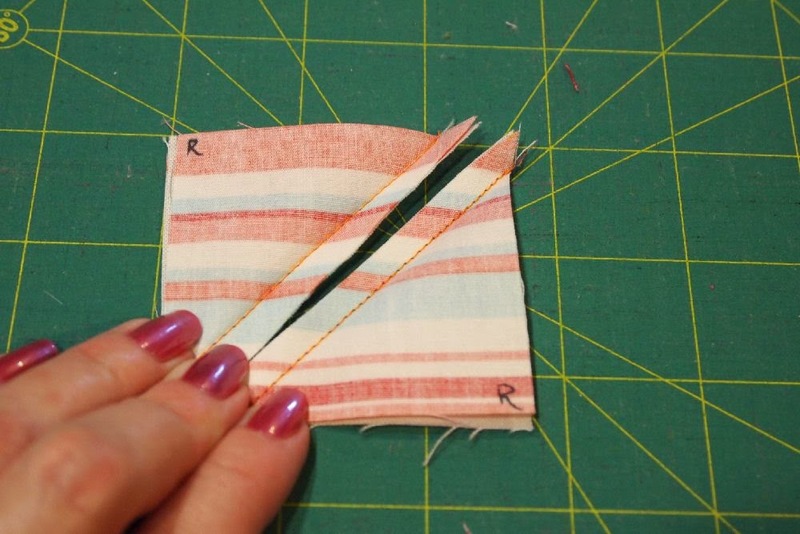 So cut two layers of striped fabric, right sides together (RST). 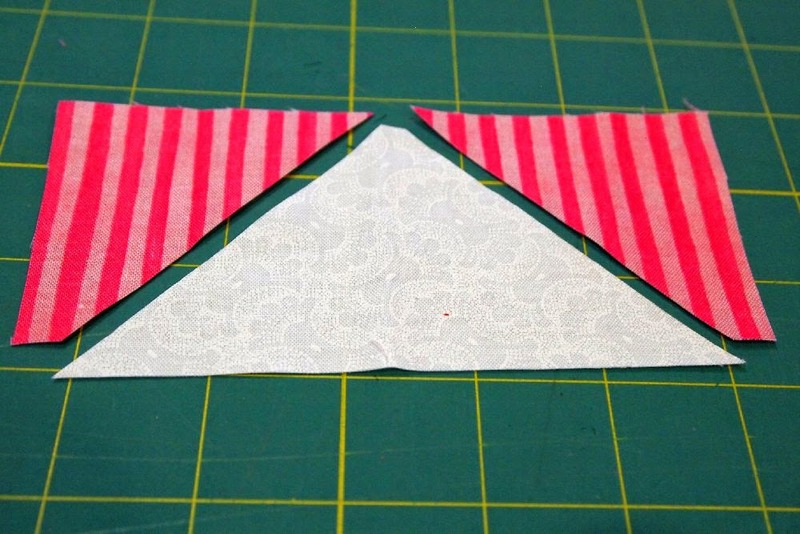 Then cut either two background triangles RST, or cut the "goose" in a single layer. 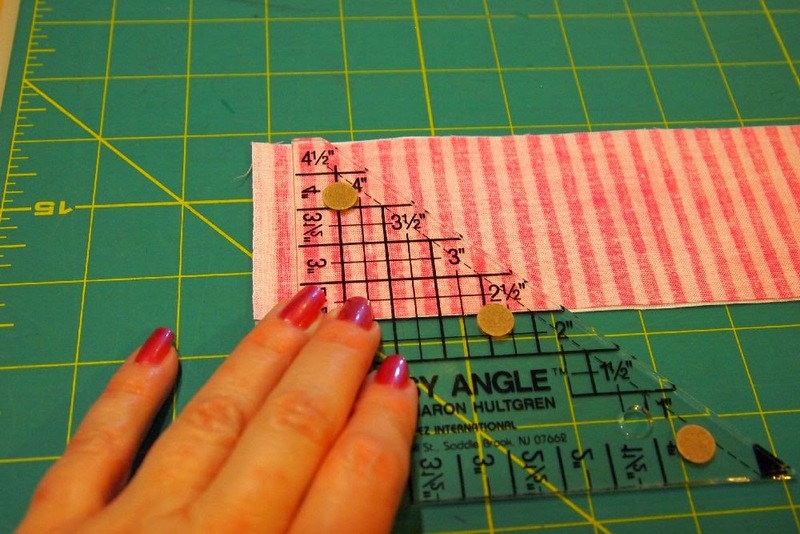 I hope this will save some fabric from mis-cuts for you! Hi Marti... great post... thanks.